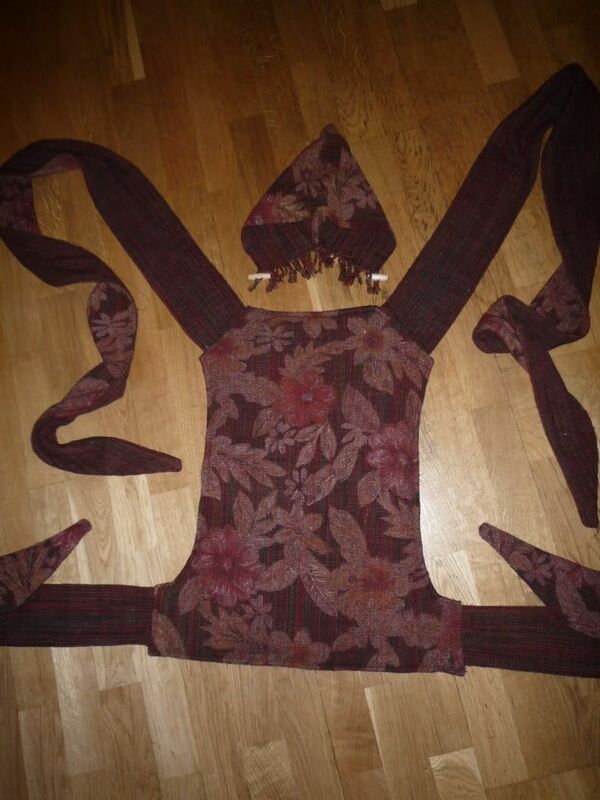 Last summer I made a Mei Tai out of some beautiful raw silk fabric. It’s reversible so can be worn with either the flowery or plain stripey side out, and each side has the straps the contrasting design. I made a fringed pixie hood (not reversible) that toggles on and off so you can wear it with the carrier either way around. For the Mei Tai itself, I basically followed this great tutorial: http://lunamothmama.wordpress.com/?s=mei+tai, but I altered it slightly to add padding at the waist and shoulders. 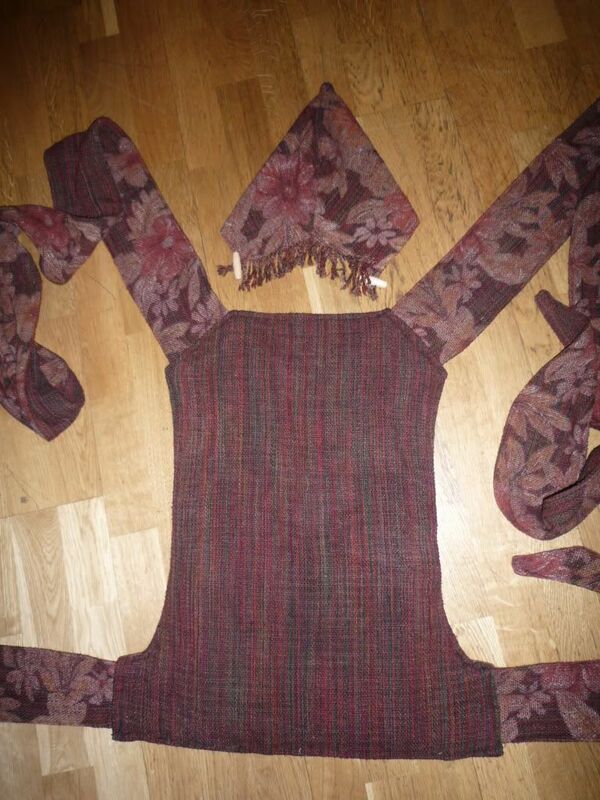 I added the padding as described below before sewing the fabric pieces together as above for the tutorial. Pattern: Yay! After a bit of hunting I’ve found my original pattern for the body of my mei tai 😀 It has measurements and some info on it, so click on the thumbnail to view in larger size. Sizes: My finished mei tai body is 23″ high by 14″ wide (spreading to 16″ wide at the bottom). The waist straps are 5″ wide and the shoulder straps are 3″ wide. 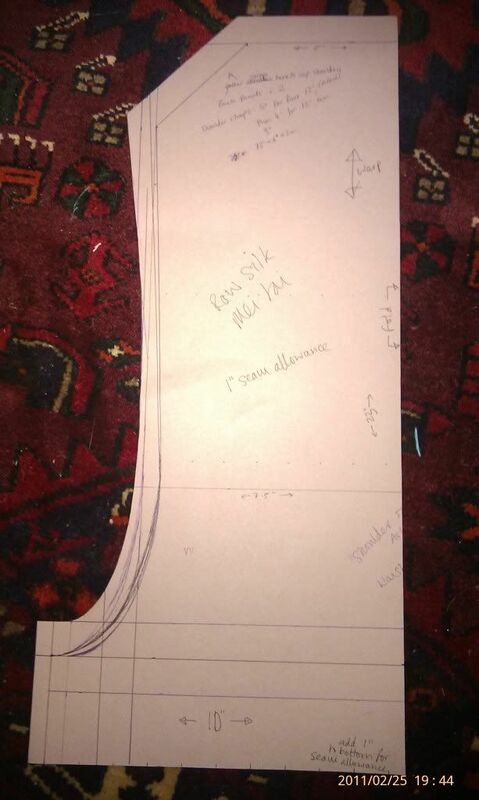 Add generous seam allowances to these measurements (I used 1″ seam allowances + I think this should be a minimum). For the waist padding, I cut 2 strips about 4″ wide from an old towel, and sewed these on either side of the inner fabric (the cotton drill) along the bottom of the body piece, before I sewed the inner and outer fabrics together. 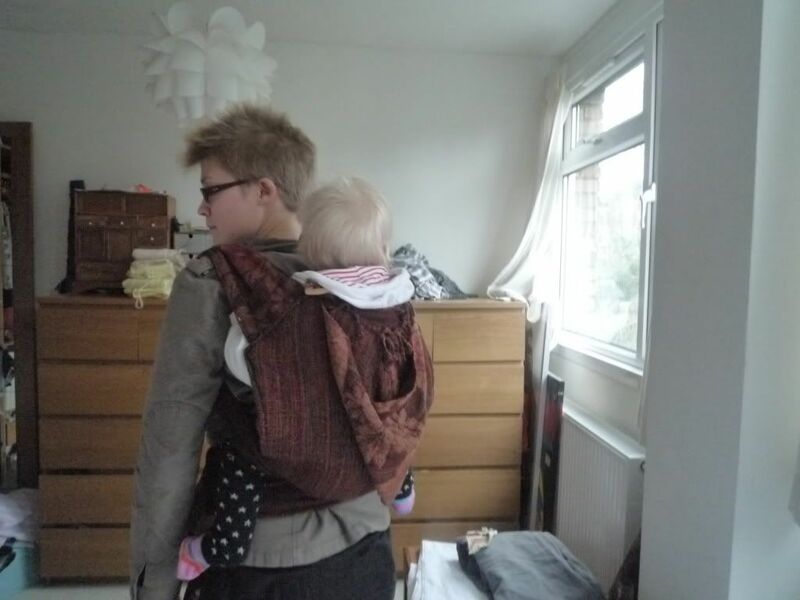 This made a really comfy tummy/lower back/lumbar support when wearing the finished carrier. For the shoulder padding, I first cut strips of the cotton drill about 50 cm long and as wide as the fabric for the shoulder straps. I then used this to line the inside of the shoulder straps, but only the part that was going to be attached to the body and would actually sit on the shoulder when wearing the carrier. 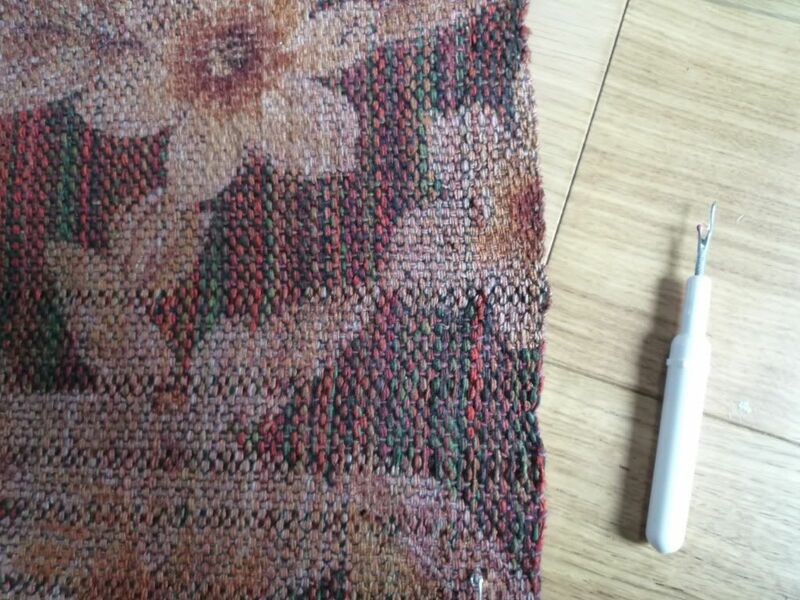 This served as a base to attach padding, and also to reinforce the straps and the important seams where they attach to the body (especially important for me using a fairly loose weave silk fabric which wasn’t designed for strength or babywearing). I then took 2 more towelling strips, about 2″ wide and sewed them to the inner fabric of the straps where they would pad the shoulders. My straps have two layers of outer fabric sewn together, so I added in the towel-lined cotton drill to the body end of the straps when I was sewing the fabrics together. 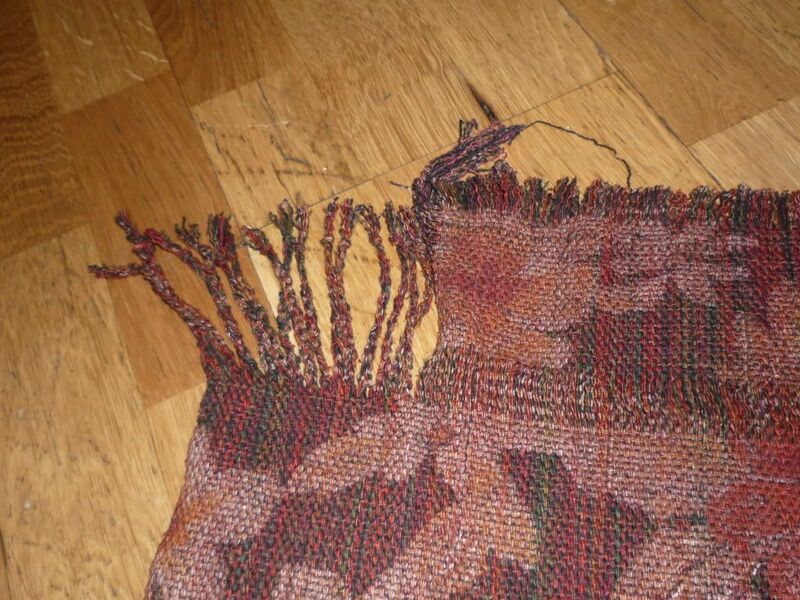 The drill and towelling then ended up hidden inside the straps. 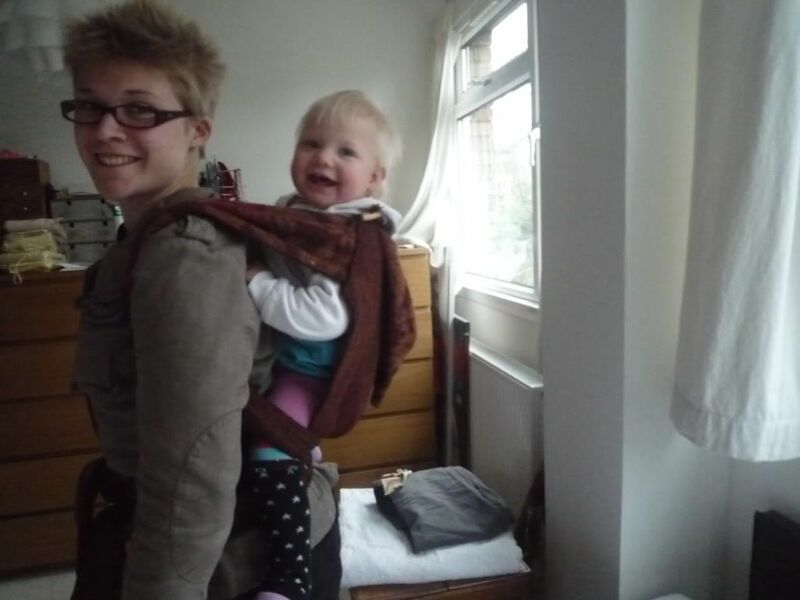 This was quite comfy, but I found that it made the finished carrier less easy to adjust to sit well as the shoulders were too bulky so I later removed the towelling (though left the reinforcing inner fabric where it was). I also added a little pixie hood, made from one layer of the raw silk fabric, which I had fringed at the edge. I used this tutorial to give me an idea of the size for the hood fabric: http://www.breakitdowndesign.com/chapter_2.htm#Cutting_Lil%E2%80%99_Hoodie, but then changed the shape and fit to how I wanted it by pinning/tacking and trying it on DD repeatedly until I was happy. This really didn’t take very long and was worth diong to make sure it was right. I also used a french seam on the inside of the hood to make sure there were no exposed raw edges that would look messy or possibly fray too much. Here’s the mostly finished Mei Tai (without hood attached) – it’s a bit big for DD here (but she’ll grow into it! ), and you can see how the shoulder padding made it sit funny on my shoulder before I took it out. 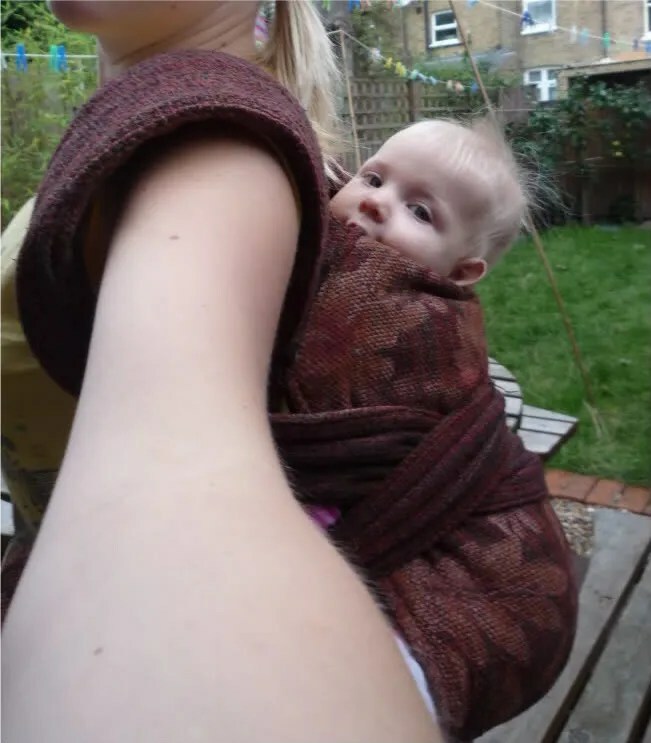 This entry was posted in Babywearing Projects, Sewing & Altering and tagged babywearing, fringe, hood, mei tai, raw silk, raw silk fabric, waist padding. Bookmark the permalink.